Should I take a probiotic when taking an antibiotic? There appears to be some confusion about whether or not you should be taking a probiotic when taking an antibiotic. There’s a school of thought that a probiotic should be taken at the same time as the antibiotic because although the antibiotic is designed to kill the bacteria causing the infection in the body, it will also deplete your ‘friendly’ gut bacteria too, and so it’s important to take a probiotic, at the same time, to re-populate and re-colonise the gut with beneficial strains of bacteria. Those of you that know Linda, the digestive health specialist at our Clinic, will know how passionate she is about the importance of gut health, and the benefits of probiotics. Linda works alongside GPs, and they have observed that patients taking a probiotic, alongside an antibiotic, took longer to recover from the infection. Just goes to show how powerful probiotics are. It’s very important to have a healthy gut, with lots and lots of different strains of beneficial bacteria. These beneficial strains help keep your gut healthy, and new research is emerging that beneficial gut bacteria can reduce your risk of getting obese, and friendly gut bacteria is also very important in helping to maintain a strong immune system. Antibiotics are prescribed for a reason – to kill off the bacteria that’s causing an infection in the body, whether it be a chest infection, water infection, skin infection etc etc. If you take a probiotic, at the same time , and if you take a strong one , then there’s a chance that the antibiotic will not work as quickly and effectively. 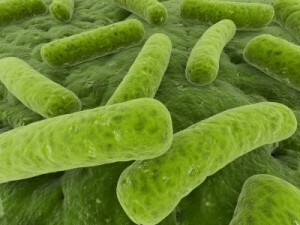 Ideally the probiotic should be taken after the course of antibiotics. However, if you prefer to take a probiotic during antibiotic treatment, please monitor your progress, and on a daily basis take the probiotic as far away as possible from the antibiotic. If you and your Doctor feel that the infection is taking longer than usual to subside, come off the probiotic and resume when you’ve completed your course of antibiotics. Linda recommends Ecodophilus probiotic by the British Company, BioNutri. Each small white, acid resistant capsule contains 10 billion viable cells of beneficial bacteria to help re-colonise and re-populate the large and small intestine, following antibiotic therapy. Take one capsule daily with food. This product is our most popular probiotic, and is available here: https://www.nottmphysio-colonics.co.uk/shop/product.php/61/bionutri-ecodophilus-nottingham-health-shop It’s extremely reasonable at £20.60 for a two month supply, when compared to some very expensive and less effective probiotics available in health shops and on-line. ‹ Do you have a Fatty Liver?